Yesterday afternoon the City Planning Commission kicked off the Uniform Land Use Review Procedure (ULURP) for the City’s proposed Jerome Avenue rezoning, beginning the seven-month public review process that will culminate in a binding vote by the City Council. 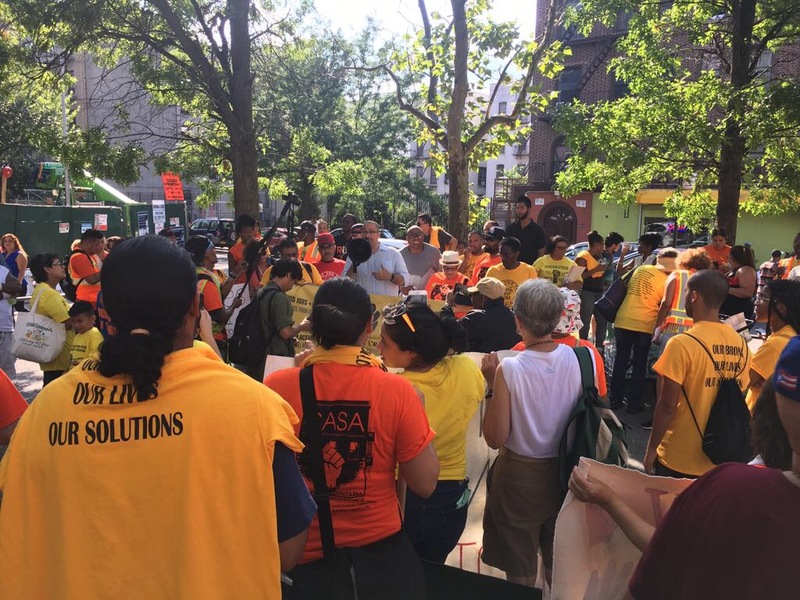 Yet the decision to start ULURP came just days after the community marched in opposition, demanding that the City immediately stop the rezoning from moving forward until it has firm commitments in place to address displacement, deep affordability, and labor standard concerns. The fact that the City chose to start ULURP regardless highlights the significant work they have ahead to meet the neighborhood’s vision. The Bronx Coalition for a Community Vision has engaged with the City for over two years, trying to facilitate the creation of a community-driven plan that truly meets the priorities of the neighborhood. In that time, they’ve made clear that no rezoning can move forward without firm commitments to ensuring building truly affordable housing, creating local, career-track jobs, and anti-displacement polices that are inclusive and representative of the community. 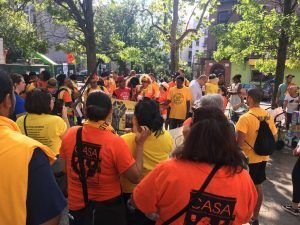 The Coalition is asking the City to consider the effects that potential federal budget cuts might have on New York City’s affordable housing programs and urging the City to hold off on any rezoning until the new federal budget has passed and firm financial commitments can be made. 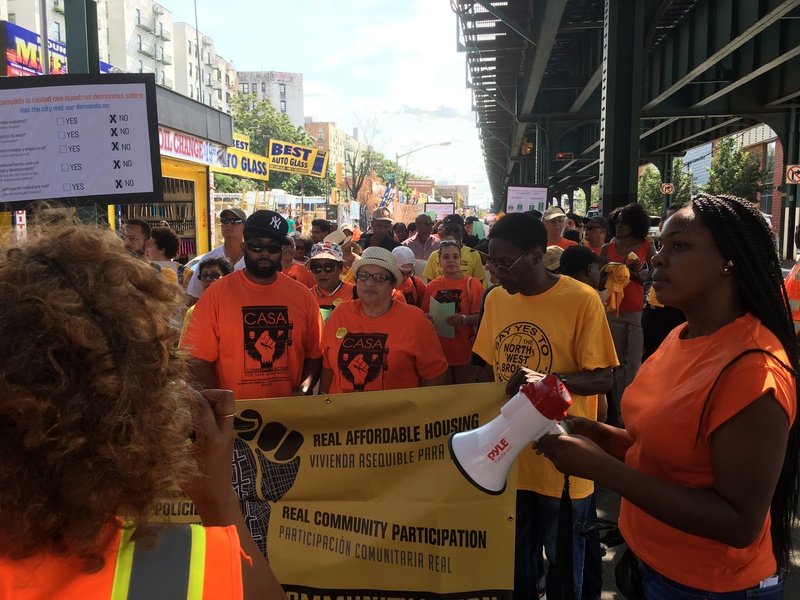 In addition, the Coalition points out that the City is already building affordable housing around Jerome Avenue at a fast enough pace to reach its numbers without a neighborhood rezoning, and requests more explanation as to why a major increase in density and market-rate housing is needed at all. 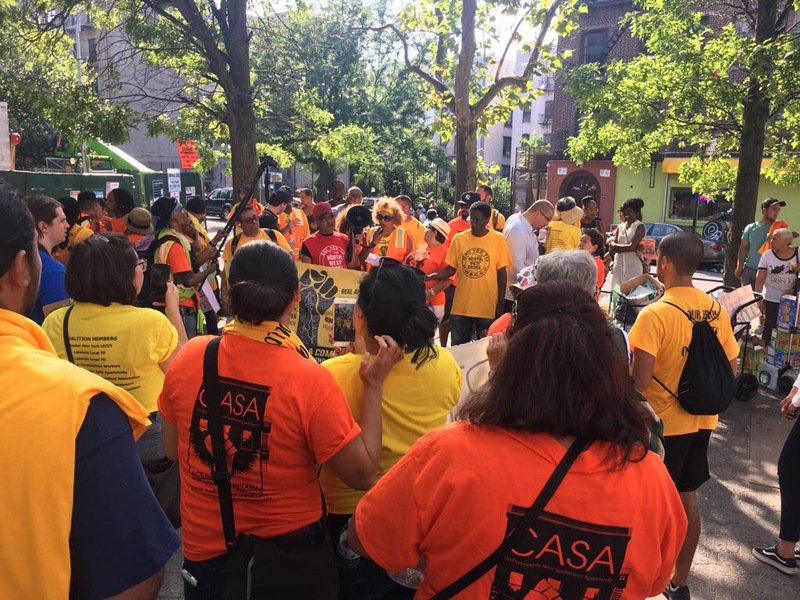 As Community Action for Safe Apartments (CASA), a project of New Settlement Apartments leader Carmen Vega-Rivera – one of the hundreds of New Yorkers to attend the march on Saturday – said, “We the community have been meeting and planning for over two years to come up with a platform that meets the needs of the community. The fact that the city is moving forward with their plan and not our plan speaks volumes about the City’s priorities. The City still has time to stop this plan.” The City also has time to get this right. As the Coalition has repeatedly made clear they are not simply saying no to change; they are instead trying to demonstrate a new model for real community investment through rezoning. This represents an important opportunity for the City, and getting it right is the only timeline that should matter.